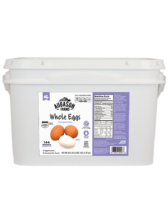 Augason Farms® Dried Whole Eggs are an inexpensive source of high quality protein with an extended shelf life of up to 10 years. With 144 servings, it’s easy to always have eggs on hand. In addition to being convenient food storage, they’re useful in everyday cooking in any recipe that calls for eggs. 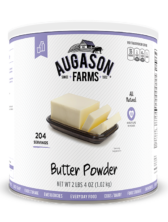 Augason Farms dehydrated butter powder is made from real, sweet cream butter. It adds mouthwatering flavor to popcorn, soups, sauces, vegetables, and can even be used to make honey butter. This butter powder also makes an excellent substitute for store-bought butter, but requires no refrigeration! The ease of substituting it in any recipe makes it an ideal addition to any emergency food kit. 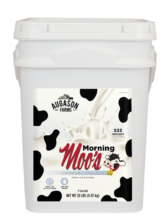 Morning Moo’s Low Fat Milk Alternative is a whey-based beverage ideal for everyday use or as a part of your emergency food supply. It looks and tastes like fresh milk, is rich in calcium and fortified with vitamins, much like 2% milk. Add the indicated amount of water to easily enjoy this powdered milk beverage. It’s delicious served steaming hot with brown sugar and pumpkin spice. This dry powdered milk alternative can also be used as a substitute for light cream by adding only half the recommended amount of water. 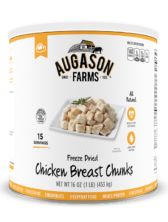 Augason Farms Freeze Dried Chicken Breast Chunks are a quick and delicious way to add chicken to any dish. Naturally low in fat, you simply rehydrate these pre-cooked chunks of real poultry and then use them as you would cooked chicken. These tasty morsels can be added to pastas, stir fry, casseroles, salads, sandwich mixes, enchiladas and a variety of other recipes. 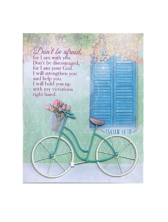 Use them in your everyday meal preparation as well as for long term emergency storage. Food storage may seem daunting, but with these Freeze Dried Beef Chunks made with real meat, it just got easier and better-tasting. This pre-cooked beef is made from choice cuts and is inspected and approved by the USDA. Simply rehydrate and use like regular cooked beef. Add it to stews, stroganoff, hot dishes, soups, casseroles, sandwiches and tacos—almost any dish that calls for beef. 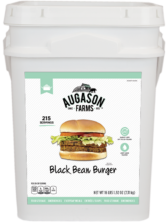 Since it’s real beef, it is ideal for camping and road trips, as well as long-term food storage. And it’s also easily usable in everyday meal preparation as well. 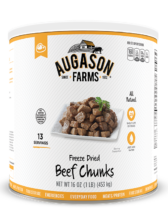 Whenever you need beef, look no further than the Freeze Dried Beef Chunks from Augason Farms. 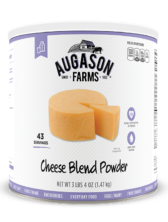 Augason Farms® Cheese Blend Powder is ideal for making the creamiest cheese sauces, fondues and dips, the tastiest salad dressings, casseroles, soups and spreads. The robust flavor and creamy texture of cheese enriches almost any side dish or entrée. Made with quality ingredients, it’s perfect for macaroni and cheese, fondues and sauces, cheese dips, soups and casseroles. 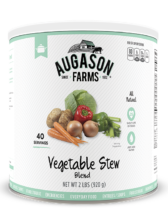 It’s a flavorful addition to any food storage supply; in fact, it’s so tasty you’ll want to keep an ample supply in your pantry for everyday use. 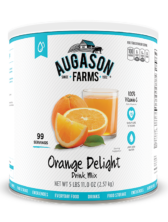 Augason Farms® Orange Delight Drink Mix is a superb, tangy thirst quencher and a great source of Vitamin C. It is a delicious drink to have on hand when company comes over or for your next party! 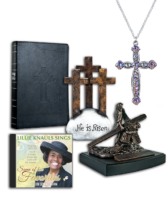 It’s also ideal for everyday use, as well as for emergency food storage. 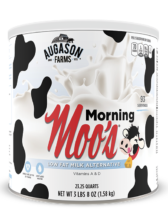 Augason Farms Morning Moo’s is as delicious as it is nutritious, this customer favorite whey-based beverage looks and tastes like milk, with calcium and added vitamins comparable to 2% milk. 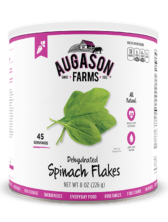 As delicious as it is nutritious, great for drinking or any recipe that calls for milk.